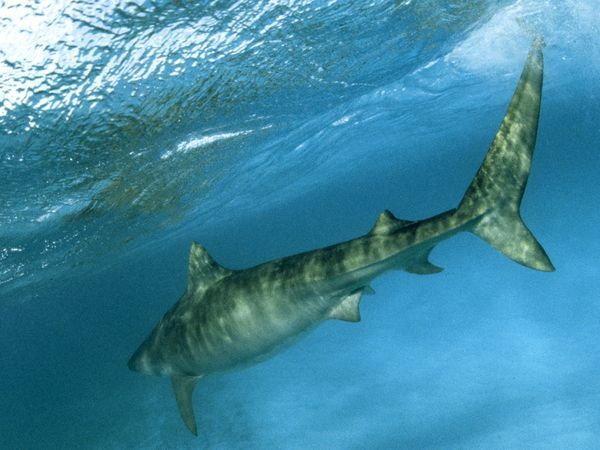 There are about 350 different types of shark. The biggest sharks have no natural enemies. 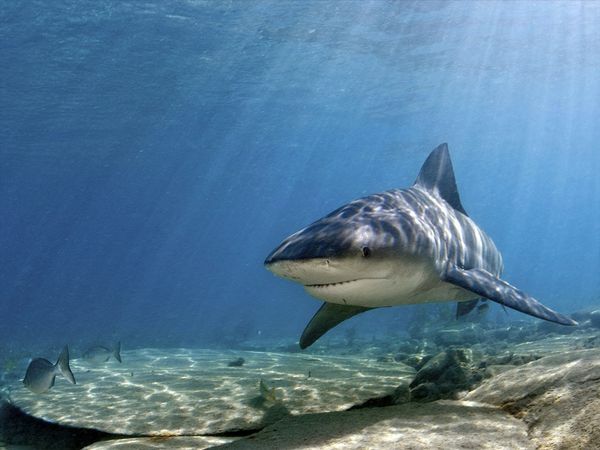 Sharks kill fewer than 100 people per annum, but humans kill about 100 million sharks in a year. Have several rows of teeth. The teeth are as hard as steel. The dwarf shark is as small as your hand. Whale sharks are the biggest. If sharks stop moving, they sink. Have remained unchanged for about 400 million years. Can smell a single drop of blood in the ocean from up to 3 miles away. Can produce 20,000 teeth in its lifetime. To immobilise a Hammerhead Shark for 15 minutes, turn it over and tickle its tummy . The Great White Shark can go as long as 3 months without eating. The Great White Shark has approximately 3,000 teeth. The pregnancy of the 'frilled shark' lasts for three years - the longest in nature. The best way o repel a shark is to wave the rotting flesh from one of its dead relatives at it. A rare single-eyed albino shark was found by a fisherman in Mexico. Are immune to all known diseases. Don't have any bones - the skeleton is made entirely of cartilage.